A very light balm which will go a long way. It is formulated with light oils and butters which will leave the skin smooth and nourished with no greasy discomfort and is fragranced with a minty blend of essential oils to refresh and uplift. Very little is needed indeed. The texture is such that the finger will sink into the balm with ease. Take half a pea size amount on the tip of one finger, spread on the tips of the other fingers and onto the foot and lower leg. 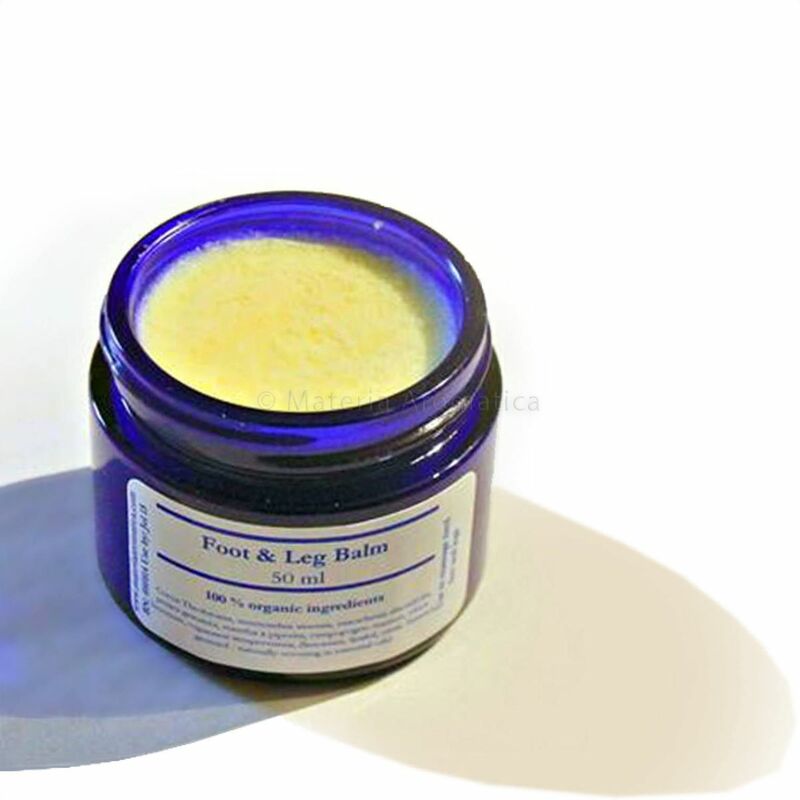 The warmth of the skin will melt the balm rapidly for an easy application. Massage well into the foot. It will soften hard skin and soothe cracks that can become particularly sore. Massage lower leg in upwards motions to promote blood circulation and lymphatic drainage.